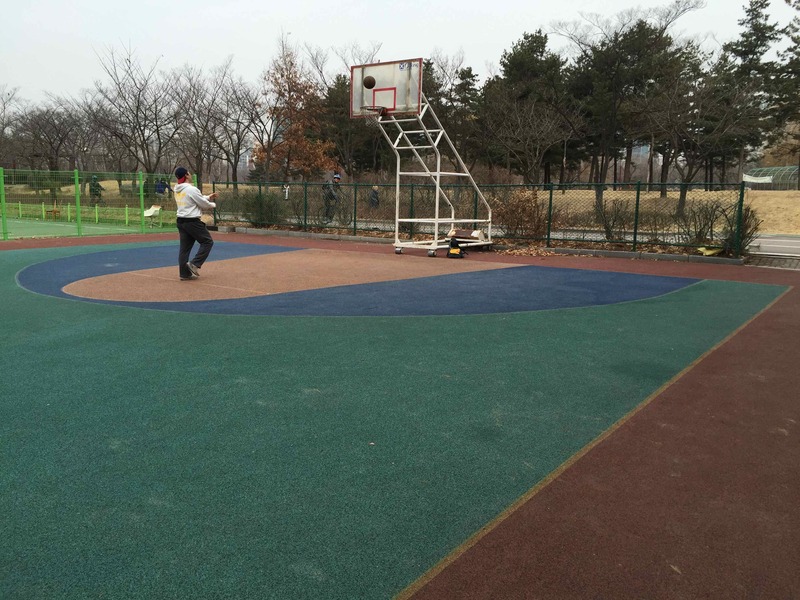 Ilsan's Lake Park is no secret. It is a popular place for residents of Ilsan to frequent. 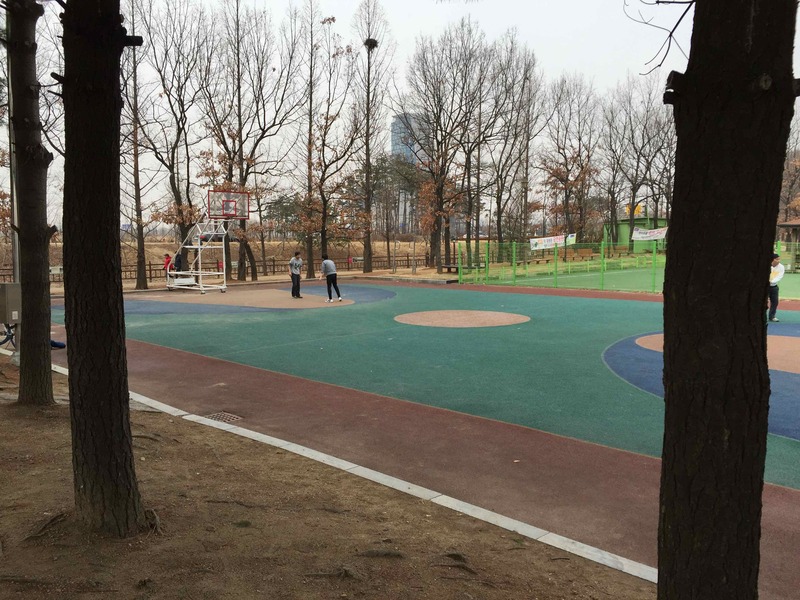 Even those living in Seoul make trips out to Ilsan to enjoy the beautiful park. It is a very scenic park. 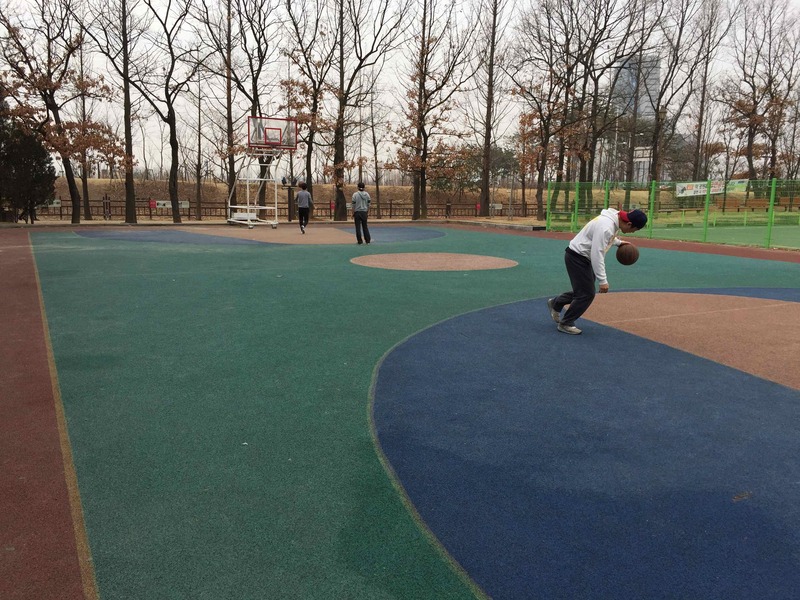 If you are looking for a court to play basketball in Ilsan that has a steady flow of players and offers great park scenery, Ilsan Lake Park is your place. 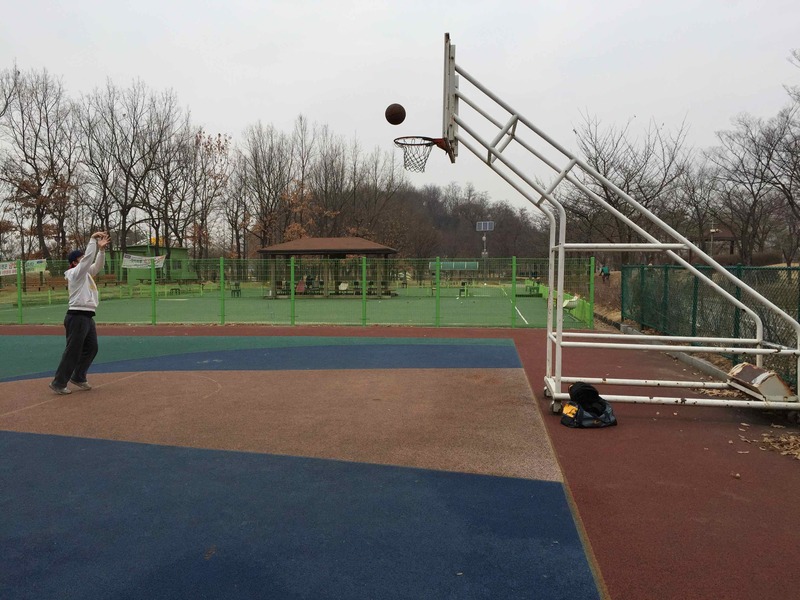 When you consider the scenery surrounding a basketball court, it doesn't get much better than the basketball court in Ilsan Lake Park. Even though it sits on the far side of the park from the main entrances, that only forces most people to enjoy the scenery the park has to offer while they are getting to the court. Fortunately, to complement the scenery, the court plays hosts to plenty of pick-up games on the weekends. 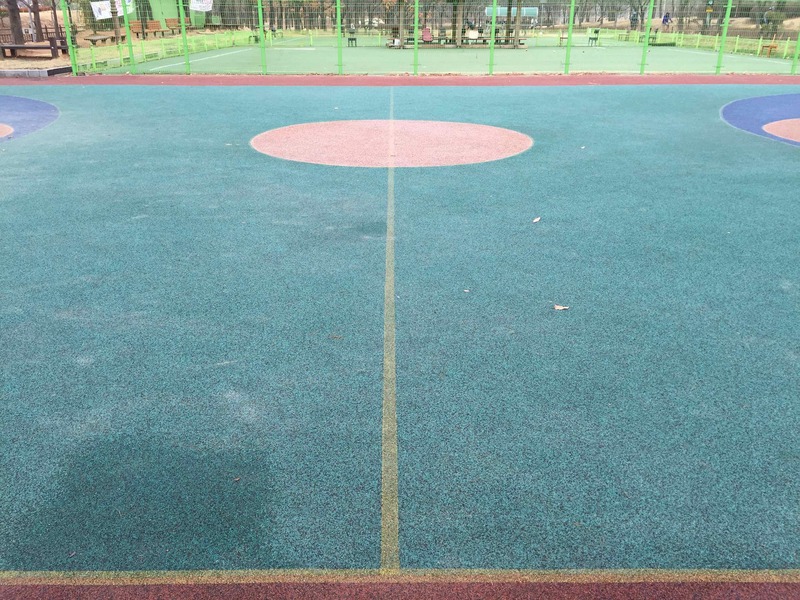 Basically, if you are looking for a place to play basketball in Ilsan, this is not a bad choice. Very colorful. You can never get lost on the court. It seems as if the court's designers wanted to color-code the entire thing. Great pick-up games are played on the weekends. There is a convenience store located nearby. Obey your thirst. It is quite a hike from the nearest subway station. It takes effort to get there (although it is an extremely rewarding effort). There is only 1 court. If it is full, good luck getting on. As mentioned previously, a convenience store is located just beyond the playground which is next to the basketball court. Michael Jordan has never heard of this court. If you've ever been curious about toilets, there is a FREE toilet museum nearby. 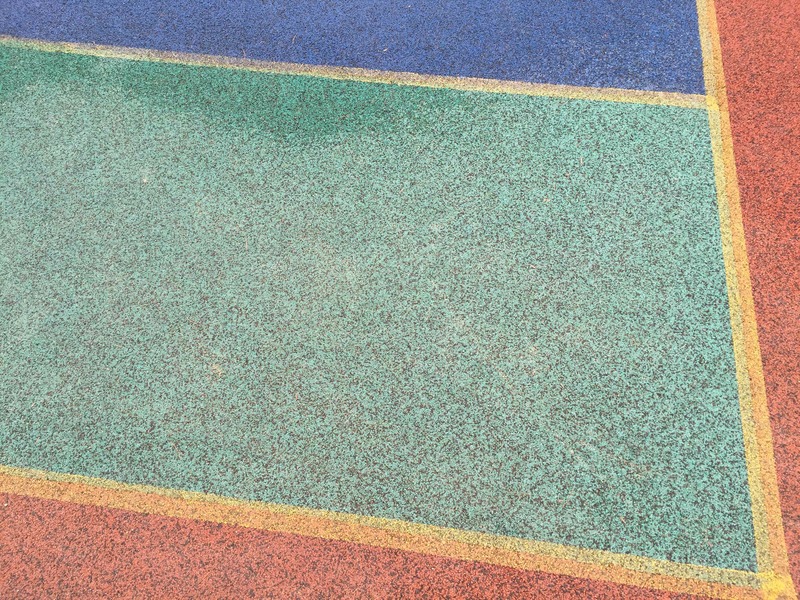 Check out the Ilsan Lake Park photo album to see more pictures of the area. Once you get to the park, you should notice the lake. The basketball court is on the far side of the lake. It is relatively close to the cactus house.